I feel that lately I've been harping on with lots of thoughts from our travels, but I can't help it. I think because we keep such full lives, enjoying weeks that are packed to the brim, our holiday was so deep in contrast that it brought clarity and space to consider ideas and engage in the kind of thought life that is so filled with possibilities - that usually I just don't have time for. I miss that space immensely, and can't help but wonder if that is the reason that my dreams keep taking me back to New York City, to the places where I found a familiarity in the shadow of tall buildings and the vast depth of unknown, in a constructed landscape. 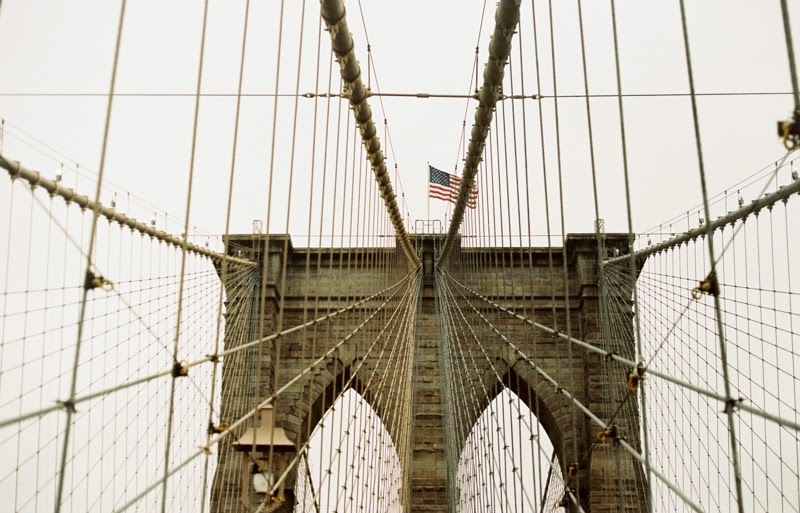 These photos are from the day we crossed the Brooklyn Bridge. We started on the Manhattan side, where the walkways where thick, filled with people stopping to take pictures, record their memories and take in the view of the city from a few footsteps off it. The further we walked the crowd thinned out as many turned back rather than walking the whole way over. Not to have a go at the world, but proverbially, its was an interesting observation. 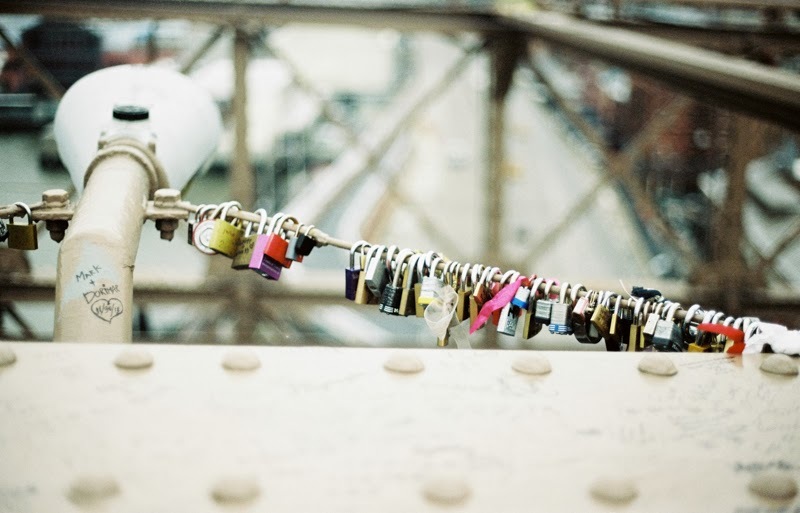 The scribbled names and locks attached encapsulated the visits of many before us and their small claim to a piece of the bridge, embodying the hope for significance in a city so big. I would have turned back too if I had known that the exit on the Brooklyn side is SOOOOOO long! 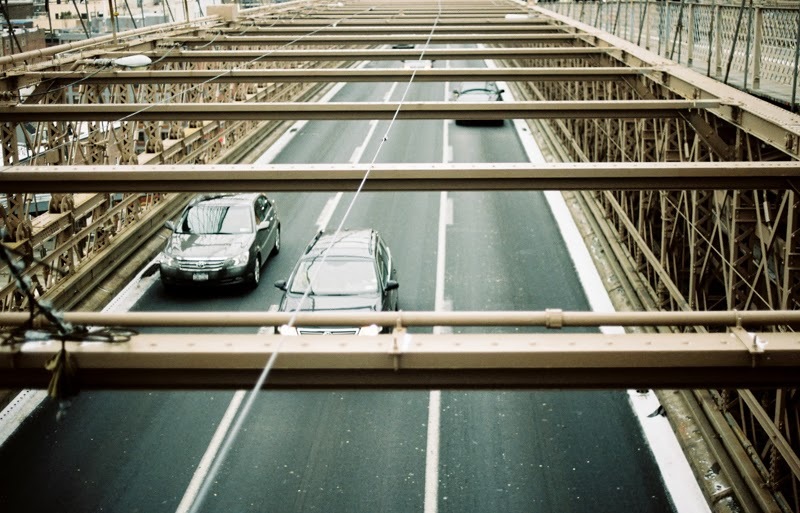 but, in hindsight, I did walk the entire bridge, a bucket list item for anyone in new york city, right?